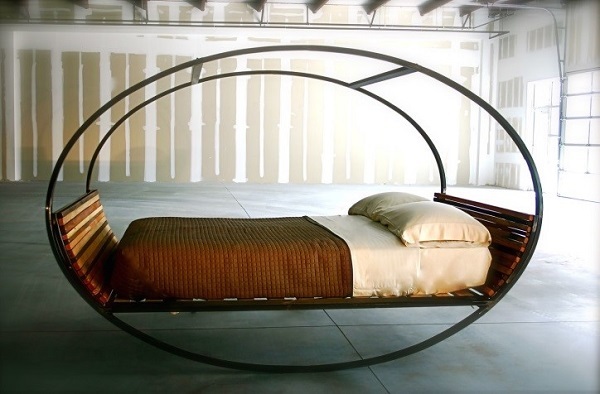 Cool beds you won’t believe exist! These are some amazing bed designs that people actually sleep onto. It was invented by Ron Arad, and his design is unlike any other. Made to resemble a brush, the bristles cradles the sleeper’s body into a sleepful bliss. This distinctive bristles move to the sleeper’s position as well as providing a soft cushion, and solace. It’s durable and easy to move so that you can take it anywhere. This ingenious book bed was designed to keep sleepers and readers to engage within the space. 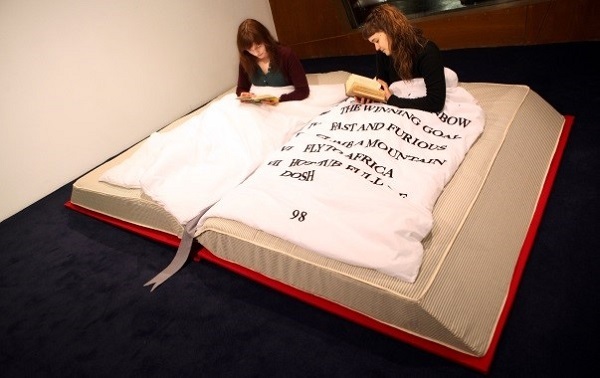 It is located at the Art Gallery Peckham Platform in London and encourages visitors to get into the book bed. The pages are blankets lined with beautifully embroidered text accompanied with a table and dozens of books. Created by Kaffe Matthews, this bed originally was supposed to be a museum exhibit. 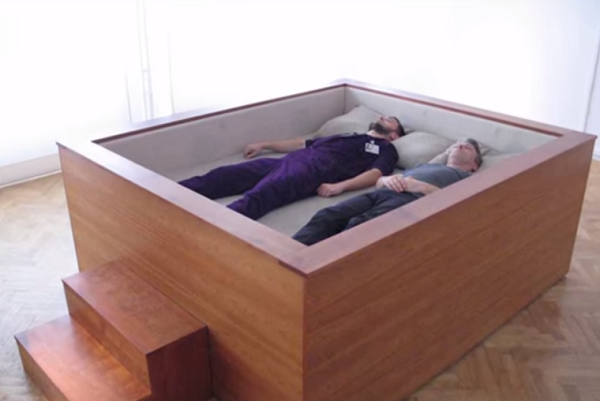 The sonic bed is armed with a twelve channel surround sound for its build in speakers runs on 220 volts of electricity that you’ll be sure to feel on your entire body. It’s the perfect home theater to listen to music and just unwind. 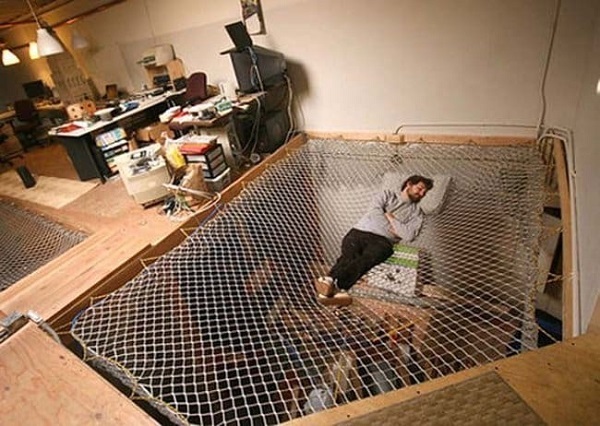 Put the thrill into sleeping with the bungee rope bed. Held together with the bungee ropes, you can sleep weightlessly, and it can fit up to several people. It may look tempting, but jumping on the material can cause it to rip and stretch. When it comes to handling, just be sure to tighten the cords around the bed springs to ensure safety. You’ll need just to have faith in knowing that you won’t fall while sleeping, which can be terrifyingly awesome! Even though this product is marketed to kids, the cuteness of this bed to adults too. 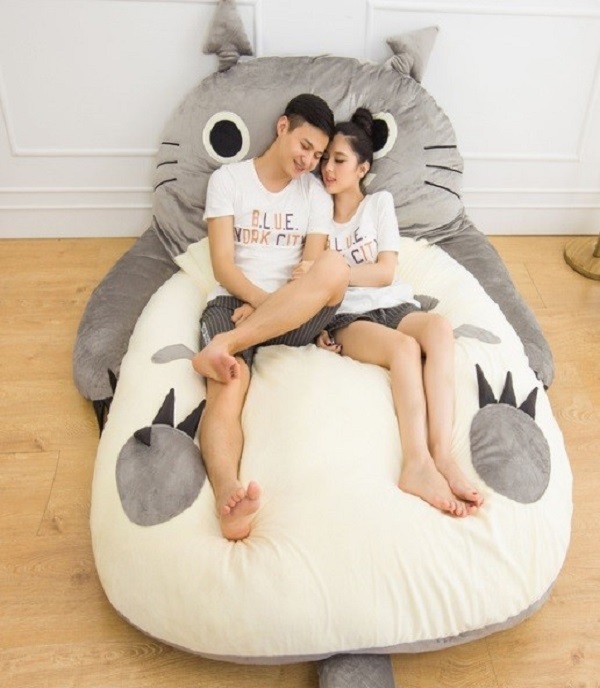 The adorable animated Totoro from the Japanese animated movie has been turned into a big comfy bed. The sleeping bag sofa bed is lightweight and has a detachable tail and bed sack, that’ll be sure to bring out the kid in you. It’s available for purchase on Amazon and it’s only $230 with free shipping! 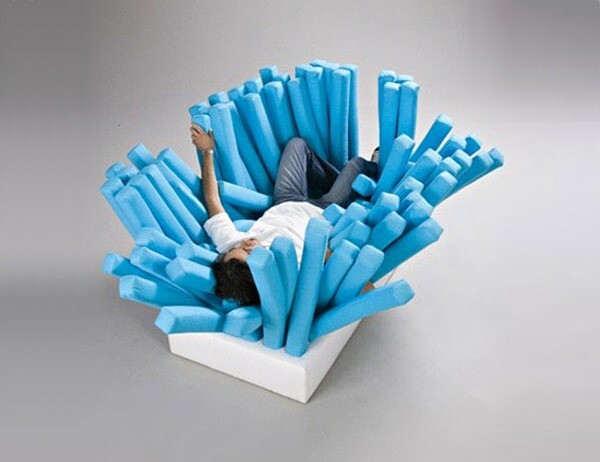 Created by OGE Creative group, the bird’s nest bed was designed as a prototype to inspire socializing space, stated on their website which can be a fusion of furniture and playground. 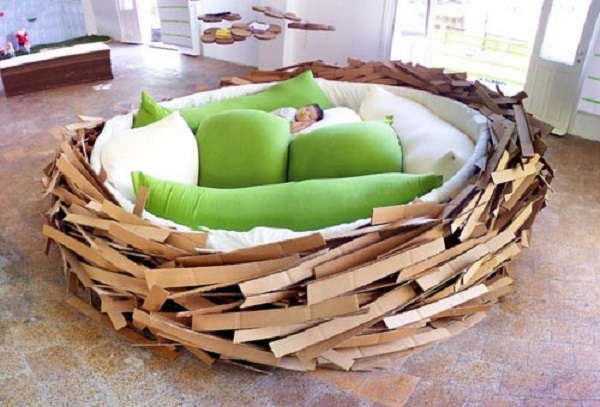 The bed is made to resemble a nest, adorned with adorable egg shaped pillows. The nest can fit up to two to three people and is a unique concept that is comfortable and intimate. Simply just hop in and snooze! Now you can sleep under the starry sky without having to leave the comfort of your own bed. 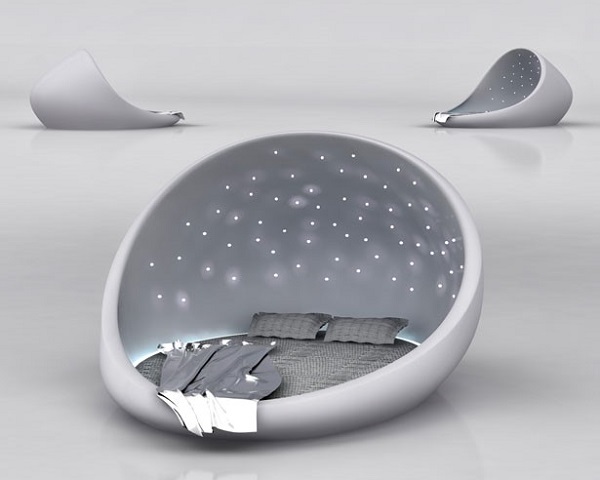 Shaped like an egg, it’s equipped with therapeutic LED lights shining through the curved roof with an adjustable mattress. It also contains an alarm clock, an audio system and has aromatic dispensers to soothe you to sleep. A modern bed like this will be the center of attention in any home. The futuristic bed can hold up to two people if you wanna share the view and you can enjoy the stars without the hassle of the mosquitoes. If you have a rocking chair, then you’ll love this rocking bed. Ideal for both indoor and outdoor use, this bed is essential when spending time in your patio or garden. It can sway continuously or stay motionless to soothe sleep lovers everywhere. It’s made from blackened carbon steel on a wooden base marking it eco-friendly to provide comfort and relaxation. It’s a funny but smart concept for burger connoisseurs. It has custom bed frames, liners and bed linens. 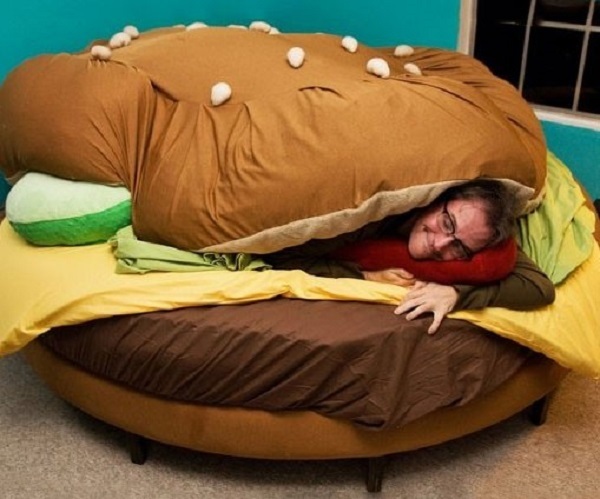 Looking at the bed looks comfy enough, just imagine taking endless naps between two yummy burger buns! It is also complete with your choice of toppings such as onions, tomatoes, pickles, lettuce and covered in a big fluffy bun. You’ll be sure to sleep like a Burger King! 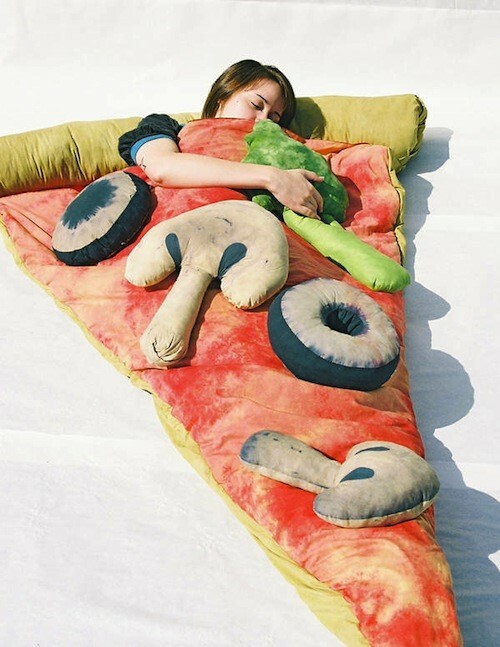 You can never have too much pizza, even if it means sleeping in it. Soft and fluffy as it’s made from hand dyed cotton and lined in red satin. This sleeping bag pizza bed includes five unattached vegetable pillows such as two mushrooms, two olives, and one broccoli. If it’s one person, but I’m sure squeezing one more shouldn’t be a problem in this cozy and tasty cot. This article was contributed by Bedding Stock, a company who’s into teaching benefits of gel memory foam mattress.